We all want that brighter, fresher looking face, right? This homemade face scrub works amazing and really easy to make. 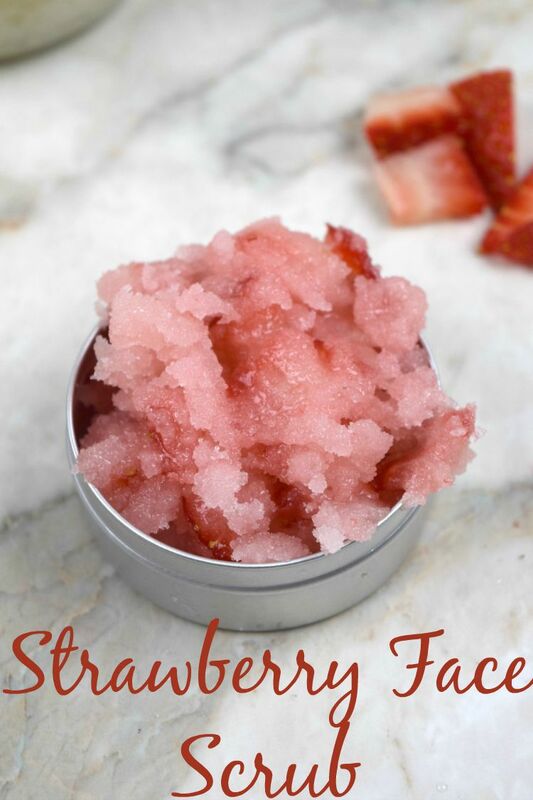 This strawberry face scrub only requires a few ingredients, which you might even have on hand. In just minutes, you can give yourself a homemade spa treatment at a fraction of the cost. This is also a great DIY to do with your tween! My daughter loves having a spa day and this is one of the recipes we always use. It’s nice knowing exactly what I’m letting her put on her face! How Long Will The Scrub Last? I suggest keeping it in an airtight container and using within a week. Do I Need To Use Fresh Strawberries? Yes, I do recommend fresh strawberries. I haven’t tried using frozen strawberries. What Are The Benefits of Using This Scrub? The scrub helps to remove dead skin cells, leaving your skin feeling amazing! 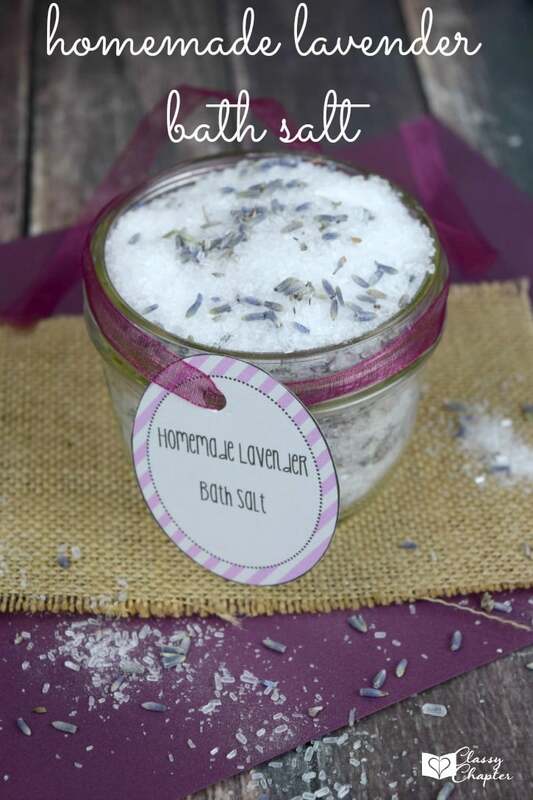 It’s also great for all skin types, so whether your skin is oily or dry, this is a great sugar face scrub for you. 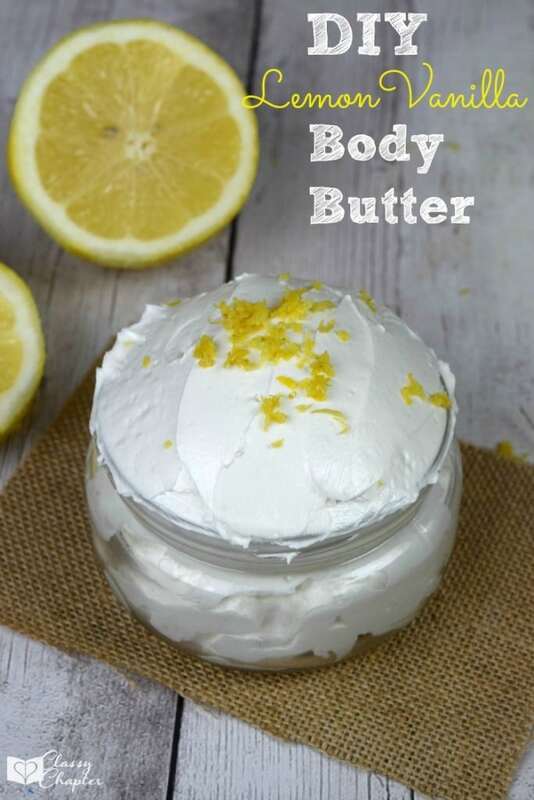 Other homemade products you might enjoy! Grab your small mixing bowl and pour in the sugar and the coconut oil and mix together. Make sure the sugar and coconut oil is well combined. Cut your fresh strawberries up into tiny pieces and then place in your sugar mixture. Using a spoon start smashing the strawberries together and mix it all together. Once everything is combined you’ll want to store it in an airtight container. Using a spoon start smashing the strawberries together and mix it all together. 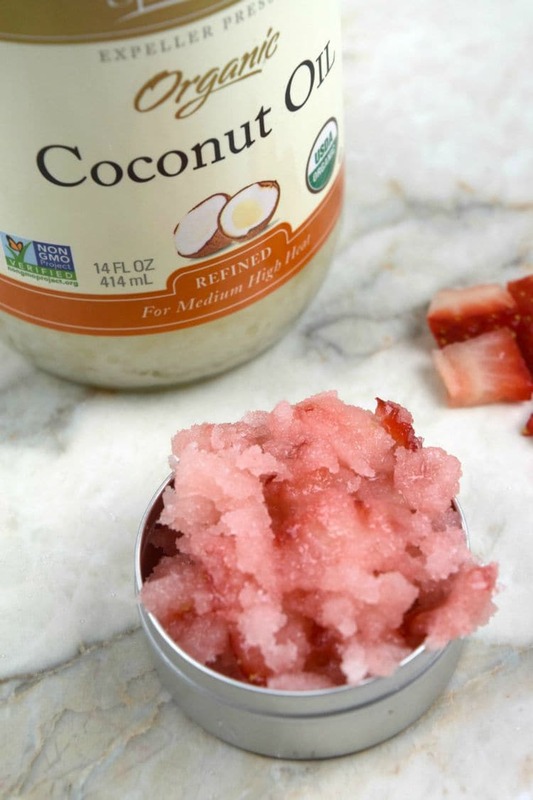 Tip: Use this face scrub several times a week along with a good moisturizer every day. Your skin will thank you for it! 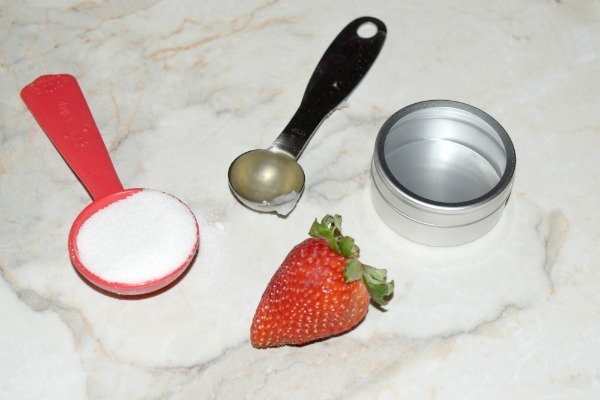 If you enjoyed this strawberry homemade face scrub make sure to check out my DIY Body Butter! You’ll love how soft it leaves your skin feeling. Hi Sonya, Thank you for pointing that out. I’ll look into it today and hopefully get that fixed. In the mean time, I can add you to the email list. How long will the strawberry face scrub keep? I’m looking for something to make as Christmas gifts. Hi, was wondering how long this can last and what the storing conditions are? thanks. Can we use lotus in it. Do you have to add coconut oil?? I haven’t tried it with any other type of oil, so I’m really not sure if something else would work. Hi! So , I made this and its amazing!!! How long will it last for? And should i store this in the refrigerator? So happy you love it!! I store mine in an air tight container at room temperature. Between myself and my daughter we usually have it used up fairly quick. I don’t remember what size this container was but I know it was pretty close in size to my 4 oz mason jars. I’d say your safe with a 4 or 5 oz size. I used about 2 handfuls. You really don’t need a lot of strawberries. I had more than enough.